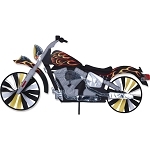 Show your friends and neighbors how you roll with this big 37 inch Chopper garden spinner. 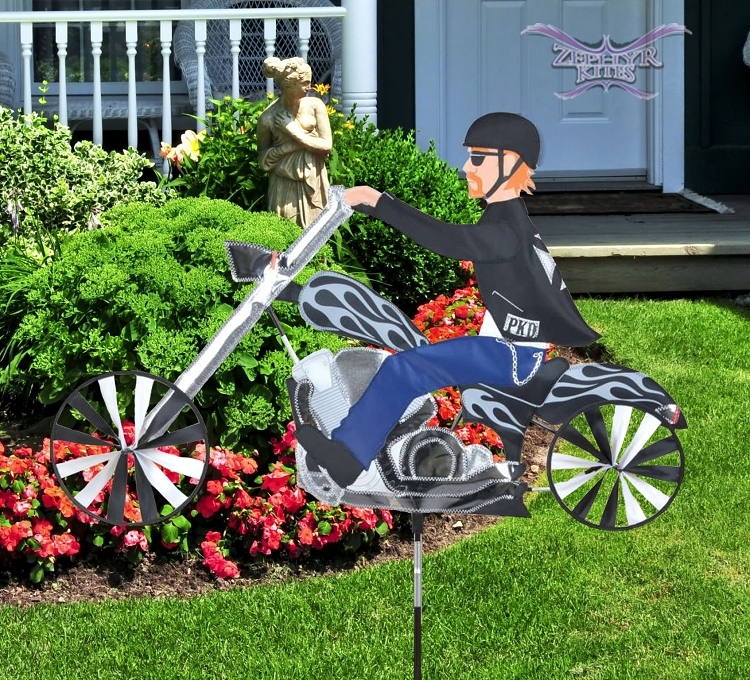 Made from durable fade resistant fabric and fiberglass poles, this bike is built to last! Size: 37 in. 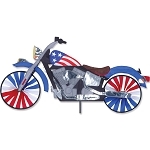 X 22 in., wheel diameters: 9 in. & 10 in.